How to Get Rid of Acne: 6 Treatments You Haven't Tried! acne, a photo by epidenver on Flickr. Obviously, not a teenage issue at all! Acne vulgaris, a photo by Adams999 on Flickr. Adult acne occurs when the skin’s sebaceous glands produce excess amounts of an oily substance called sebum, which clogs pores that attract bacteria and become inflamed. 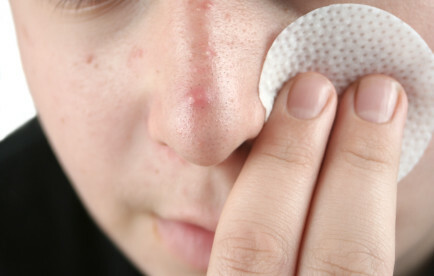 In a seven-step process, bacteria accumulates within the pore, eventually leading to pimple formation. 1. Go see your dermatologist in person. Dermatologists can often grant personalized advice and treatments that you would not get from reading a book or magazine (or *sob! *, even a blog). For instance, Dr. Lawrence Gibson, M.D. of the Mayo Clinic recommends also keeping your hair off your face, especially if it’s oily, as much as possible. Dermatologists also have access to stronger LED light therapies than are available for at-home use. What’s more, at an appointment, dermatologist can determine if you are a candidate for each therapy in the first place: For instance, studies have shown LED phototherapy does not work against cystic acne, the most severe form of acne, which is characterized by painful nodular inflammations a few centimeters in size. (A photo is available here). LED phototherapy is not recommended in these patients because the treatment temporarily causes inflammation in the skin as immunological cells infiltrate the area, which can be very painful. LED phototherapy could exacerbate cystic acne by causing the lesions to erupt, potentially spreading into surrounding follicles or resulting in scarring. So, again, if you have chronic acne, get thee to a dermatologist! 1. Cleanser with anti-inflammatory ingredients and salicyclic acid, such as Aveeno Clear Complexion Cleansing Bar ($6.75, Amazon.com). In studies, salicyclic acid has been found to be more effective than alpha hydroxy acids in reducing the number of pimples. I also prefer salicyclic acid to benzoyl peroxide for all over the face because benzoyl peroxide increases free radical production in the skin. 2. Spot treatment, such as ZAPZYT Acne Treatment Gel ($4.99, Amazon.com), or, for more sensitive skin, Neutrogena On the Spot Vanishing Formula ($16.69 for three, Amazon.com). Both contain benzoyl peroxide, which causes an oxidative reaction within the pore that actually destroys the pimple from the inside out. Pretty awesome. 3. Oil-Control Treatment, such as Philosophy On a Clear Day Blemish Serum ($30.00, Amazon.com). This product contains ultra-effective salicyclic acid as the first ingredient, and glycolic acid, which increases cell turnover. 4. Oil free foundation or powder with SPF, such as Neutrogena Healthy Defense Powder with SPF 30 ($19.98 for two, Amazon.com). The product does not contain any ingredients that should provoke acne, and provides oil coverage and SPF protection, which is often hard for women with oily or acne-prone skin to find. 3. And this regimen for night! 2. Spot treatment WITHOUT benzoyl peroxide, such as Clean and Clear Advantage On-The-Spot Acne Treatment ($6.75, Amazon.com). This product contains 2% salicyclic acid. The benzoyl peroxide spot treatment from the morning is not recommended for night because benzoyl peroxide can denature the form of vitamin A (tretinoin) found in Retin-A. 3. Retinoid treatment (if not pregnant or nursing). Ideally, see a dermatologist for a prescription for Retin-A, which has twenty times the potency of retinol sold over-the-counter. Retinoids are helpful against acne because they increase the rate of cell turnover, exfoliating the skin. If prescription treatments are not an option for you, RoC Anti-Wrinkle Treatment for All Skin Types ($14.79, Amazon.com) contains retinol fairly high on the ingredients list and anti-aging antioxidant vitamin E. Keep in mind retinoids can increase photosensitivity, which is why the product should only be used at night. 4. Moisturizer (optional; use only if your skin is dry), such as Aveeno Ultra Calming Moisturizing Cream ($13.95, Amazon.com). Sometimes retinoids are irritating or drying to the skin, so you may wish to use a soothing, anti-inflammatory moisturizer like this one at night, even if you choose not to during the day. 4. Avoid these 17 ingredients in skin care products! 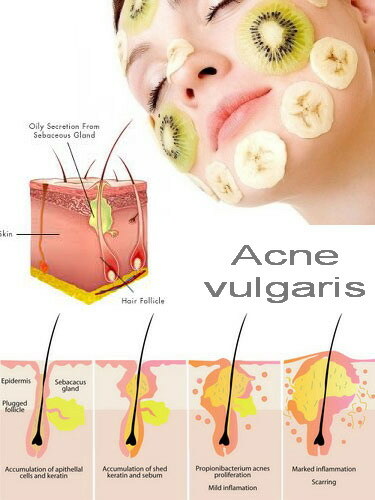 However, it should be noted these ingredients do not provoke acne in all patients. Consult your dermatologist if you have a question about a certain ingredient and your skin type. 5. Try each of these lines. Jan Marini Skin Care Management System: Oily to Very Oily ($156.00, Amazon.com) – I’m currently using this in the Normal to Dry, and love it! Rodan+Fields Unblemish Regimen for Acne and Acne Marks ($160.00, Amazon.com) – Though Drs. Rodan and Fields also created the ProActiv line, the ingredients in the new Unblemish Regimen are far superior, and I believe readers will find better results. Acne Free Severe Acne Treatment System ($21.87, Amazon.com). If you’re not into higher-end products, never fear: This comprehensive system from Acne Free contains all of the ingredients I recommended above, including salicyclic acid, benzoyl peroxide, and a form of retinol. Fantastic! What I like about ordering these lines through Amazon.com is there is a no-hassle return policy. Try one for 3 weeks; if it doesn’t work, move onto the next. Though I’m a full advocate of modern traditional medicine (I am studying for an M.D., after all! ), the truth of the matter is, there are still many methods that traditional medicine has yet to analyze properly, like acupuncture, herbal remedies, or meditation. Truth be told, I believe facials, including extraction methods and facial steaming, are areas that need further exploration. Skin care educator Angela Palmer advises recognizing the difference between a doctor and an esthetician, each of whom can offer assistance. A professional esthetician, she says, can provide facial treatments that complement a doctor’s treatment program. Palmer explains that extracting blockages and clearing pores of excess oil will make blemishes less likely to form. Specially formulated acne facials can not only reduce breakouts and inflammation, but also improve skin clarity overall. Regular facials tend to have a better effect than occasional visits to an esthetician, so it’s helpful to find a source that’s both affordable and convenient in terms of place and time. Adults with busy schedules can’t always make time during business hours for a facial, so look for a professional esthetician with appointments available during evening and weekend hours. There are many methods you can use to treat acne, some of them more effective than others. The best way to treat acne is to use clinically-proven ingredients in high strength and in combination. Unfortunately, you may have to rotate through a few different lines and products before you see results. Another caveat is that bacteria can become resistant to skin care treatments over time, so even if you get months to years of relief from an anti-acne system, you may have to change eventually anyway. I would also recommend that all readers see a dermatologist and possibly an aesthetician for exclusive, in-person recommendations. Lastly, be smart about what you put on your face! From your hair and your hands to oil-rich make-up products, treat your acne-prone skin like the delicate tissue it really is. It’s not to be messed with!